An inner-thigh gap that appears when you stand with your feet together is considered an attractive and coveted feature for women. Some women love to have a thigh gap and do not mind over-exercising to get it, which may not be the right approaches.There are many healthy ways to achieve your goal; in fact, you can check thigh gap before and after photos with exercises that have helped women achieve that. Keep reading to discover more about it. Here are some pictures showing the differences of thing gap changes, which can help you map out exactly what you will get after putting in some serious effort in the gym and following a strict diet. Just go and get your thigh gap, you will feel deserved! If you are always trying various ways of getting a thigh gap, now you find the right place! Below are 10 tested and effective methods that can help you see a different of thigh gap. Stand with your feet shoulder-width apart. Hold a dumbbell in each of your hands and bend down until your hips are parallel to ground. Hold your position for a few seconds and slowly return to your standing position. Make sure that your knees do not hang over your toes when you are bending. Keep chest upright with shoulders pulled back. Stand tall with your feet together. Keep your weight on your heels. Now, hold a dumbbell in each hand and lower the weight towards your front foot. While doing it, raise your other leg behind to maintain balance. Be sure to keep your back straight while bending. Use your grounded foot to return to your starting position once the weight reaches mid-shin level. Repeat with your other leg as well. While keeping your feet flat, step to the right a little beyond shoulder width. Now, squat through your right hip and ensure that your left leg is straight. Go down as low as possible and hold your position for three seconds. Slowly return to the starting position and repeat with your other foot. Glute bridge with medicine ball can be one of the most effective method helping you to see the difference of thigh gap before and after. You just need to lie down on your back with your feet flat on the floor and knees bent. Get a medicine ball and place it between your knees. Slowly, raise your hips to extend your lower back. Squeeze your glutes and hold your position for five seconds. Be sure to squeeze the ball to put more pressure on inner thighs. Get a medicine ball and place it in between your knees. 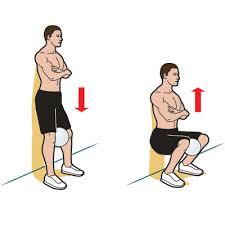 While keeping your shoulders and lower back being against to the wall, squat with your hips paralleling to the ground. Be sure to squeeze the ball hard with your knees and maintain the posture for 45-60 seconds. You will notice a difference in thigh gap before and after doing lying leg lifts. The exercise not only tones your inner thighs, it also engages your quads, abs, and hamstrings. You need to start by keeping your legs straight and then slowly pulling them upwards to create an angle of 90 degree with the floor. Maintain a slow pace when going down. Do 8-12 reps. Isolation exercises work extremely well to help tighten your inner thighs. 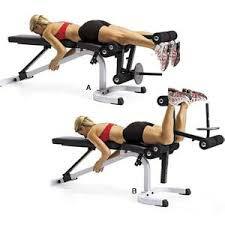 You need to lie on a bench to your abs and breasts and then curl your legs up without lifting your upper legs. Hold your position when you notice some contraction. Do 12-15 reps.
As, one of the easy to do exercises to get the thigh gap, you just need to use a foam roller to tone your inner thighs and get that coveted thigh gap. 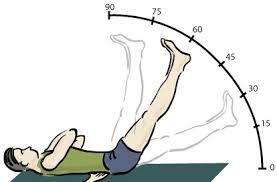 Take a foam roller and place it perpendicular to your thigh. Now, roll your inner thigh from the groin region and move it towards your knees. Just try it and include this exercise into your routine. While you will notice a clear difference in thigh gap before and after performing above mentioned exercises, taking the body type into consideration can speed up your process. Research shows that most women will have slimmer legs when their body fat percentage is about 18%, but that is not true for every woman. Depending on your body types, your thighs will look thin or heavy. 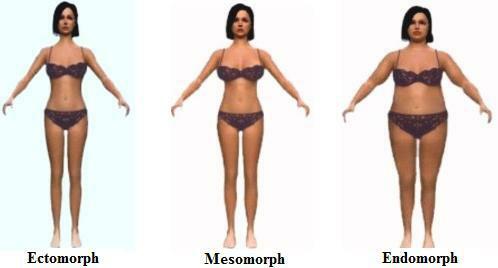 You could be a Mesomorph, Endomorph, or Ectomorph, and you will get good results only if you plan your exercise and diet as per your body type. Once you have a plan, you need to stick to it to build leg muscles and reduce fat to notice a thigh gap. You need to pay attention to your diet because you will notice no change in thigh gap before and afterdoing leg exercises alone. The most important thing is to avoid junk food. Replace junk food with healthy, freshly prepared meals with natural ingredients.Eating processed food will never let you see that thigh gap no matter how hard you try. You should also avoid or at least limit your intake of food that contains trans-fats and refined sugar. Eating trans-fats will lead to obesity. You should consider adding more fiber rich food to your diet because it keeps you feel fuller and improves digestion as well. Be sure to have at least five portions of fruits and vegetables daily, and include nuts and beans as well as whole-grain bread in your diet for good results. Start by straightening your legs. Make sure they are very stiff. Now, stick your buttocks out a bit but avoid overdoing it. Just be natural. Bend forward while keeping your heels apart. Just ensure that the front part of your toes is together. Then you will notice a gap between your thighs. Finally, take your picture while keeping your camera facing downward.